Local author, Carolyn Burke was the guest interviewee for March 15 2011 on Artists on Art. 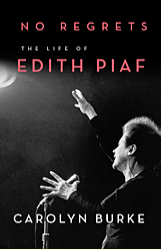 We had a wonderful conversation concerning her writing and her new biographical book, entitled No Regrets, The Life of Edith Piaf, about to be published and in your nearest book store March 24, 2011 by Alfred A Knopf. Carolyn will be kicking off her book tour for this book March 24, 2011 at the Bookshop Santa Cruz from 7:30-9pm located at1520 Pacific Avenue Santa Cruz. 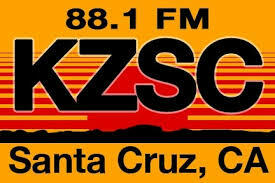 For more information, call 831-423-0900. Next on her book tour, on Tuesday, March 29, 8 pm, at Catalina Jazz Club on 6725 Sunset Boulevard, Hollywood, Carolyn will be giving a fifteen-minute talk about No Regrets, and then there will be a performance by Jil Aigrot, who supplied some of the vocals for the 2007 movie La Vie en Rose with a Oscar winning performance by Marion Cotilliard for Best Actress. This is the third book for Carolyn Burke. Her first two were Becoming Modern: The Life of Mina Loy, published by Farrar, Straus & Giroux in 1996 and Lee Miller, A Life, published in 2005 by Alfred Knopf which was a New York Times Notable Book of the Year and a finalist for The National Book Critics Circle Biography award. She also has written essays and translations for magazines such asVogue, Heat, Sulfur, Art in America, (HOW)ever, and the New Yorker. Carolyn explained how she chose the subjects of her biographies. She also spoke of how her writing process has changed from the first book on Mina Loy taking her years to complete to her newest book taking only several years. Carolyn spoke of how in a way the subjects choose her.